Leeds Business Improvement District (LeedsBID) has made three appointments to its board of directors bringing in senior executives from the retail, communications and hospitality sectors. James Prince, head of branch at John Lewis Leeds, Tracey Lancaster, deputy vice chancellor (corporate communications) at Leeds Beckett University and Wayne Topley, regional general manager at QHotels, have all been appointed as non-executive directors. Lancaster and Topley are wholly new appointments, while Prince joins after more than two years as a board advisor. Prew Lumley, chair of LeedsBID board Prew Lumley, and real estate partner at global law firm Squire Patton Boggs, said: “The skill set James, Tracey and Wayne bring is unrivalled and will not only further strengthen oversight and governance, but they will bring new ideas as to how we can take LeedsBID forward. 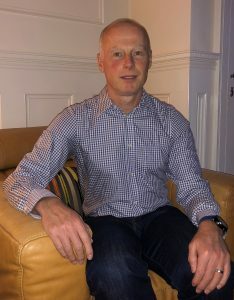 Colin Oliver of Futuresound continues in his role as Advisor to the Board. The new appointments were announced at LeedsBID’s Annual Showcase which took place last week at Leeds College of Music’s contemporary complex in Quarry Hill. The new board members join existing members: Diane Cheesebrough, consultant/NED; David Maddison, general manager of Trinity Leeds; Andrew Latchmore, property lawyer with Shulmans; Sam Perry, director of commercial banking at NatWest, Leeds; Sandy Needham, chief executive for West and North Yorkshire Chamber of Commerce; Helen Green, associate director for Town Centre Securities; Sarah Dear, managing director of branding consultancy Elmwood; and Councillor Al Garthwaite, Leeds City Council. Inspired Pet Nutrition, the UK’s largest independent producer of dry pet food, has announced that David Proctor will be joining as Group Operations Director in early December. He will be based at the firm’s head office at Dalton Airfield, near Thirsk in North Yorkshire. Proctor has spent over twenty years in the automotive and consumer goods industry and has broad experience in manufacturing, planning, warehousing, distribution and procurement. Most recently at Molson Coors where he was Operations Director, UK and Ireland, while also leading a world class supply chain initiative across Europe. Most of this career has been spent in the UK, but he has also had the opportunity to work in the USA, China and Central/Eastern Europe. Commenting on his new appointment, Proctor said: “I am extremely excited to be joining an exceptional team at Inspired Pet Nutrition. Richard Page, managing director of IPN, added: “David brings a wealth of manufacturing experience to our business at a critical time. 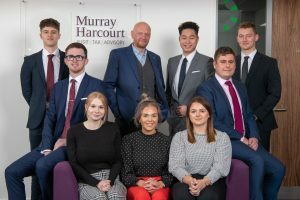 Six graduates have joined Leeds-based accountancy practice Murray Harcourt. In addition, the business has also welcomed three apprentices who’ve joined the personal tax and business services teams. Financial Reporting and Training Senior Manager Andy Bristow has built a graduate programme that will combine traditional learning with hands on experience. Bristow has 18 years’ experience of providing technical IFRS and audit training to chartered accountant trainees therefore adds a great deal of value to the new trainees learning. With offices in Leeds and London, the firm offers a full range of services including audit and assurance; tax compliance and planning; advisory and business services; and corporate finance. yboo, the Huddersfield-based tech firm, yboo, has recruited six new staff as the company. 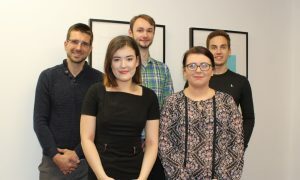 Loren Birkett, Keely Robinson, Josh Hoyle, Helen Cullinane, Mike Constantinou and Phil Kershaw all join the firm to raise the profile of yboo in the UK and launch a range of new features within the app. Birkett, a graduate of Huddersfield University, joins as Social Media Manager and will be delivering campaigns to ensure yboo is able to listen to and understand what Consumers want and need. Robinson, a graduate of Cardiff Metropolitan University, joins as Affinity and Affiliate Campaign Manager. She will be focussing on delivering yboo Social Responsibility activity including working with schools to ensure families without broadband have access to yboo mobile broadband devices. Hoyle joins as Project Developer, leading a website redesign and yboo outreach to Consumers raising the profile of the yboo brand both Nationally and Internationally as yboo moves into new markets and new verticals. While Cullinane, who has 20 years’ experience in the telecoms industry, joins as Head of Delivery. She will be responsible for implementing a governance structure and ensuring people, processes and technology come together to support yboo growth. Constantinou and Kershaw have been appointed as talented developers.